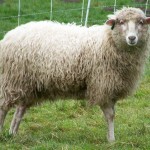 Agent 88 is a beautiful polled white girl with lovely fleece. She is calm and thinks about being friendly. She would make a good white addition to any flock. Currently open and waiting for a flock sire. 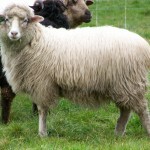 This is another nice white ewe. She is also a triplet and both parents have produced interesting colors so she has potential for producing modified browns. Currently open and waiting for a flock sire. 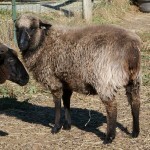 This ewe is an odd shade and registered as NSP Blue, Brown modified. 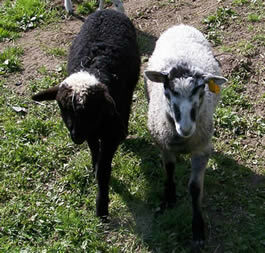 She is polled and currently open waiting for a flock sire. 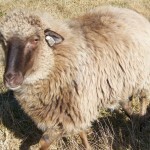 This ewe is a Reverse Badger or Brown and Tan pattern. She is polled and very friendly.